Don't miss out on Asia's largest technology events of the year! For the inner geek and active enthusiast, I have highlighted a few of the fair's most practical product innovations. The Hong Kong Trade Development Council (HKTDC) has organized 3 technology related trade events that will host almost 5000 exhibitors. The first was the Hong Kong International Lighting Fair (Spring Edition) from April 6-9, followed by both the Hong Kong Electronics Fair (Spring Edition) and the International ICT Expo, from April 13-16. 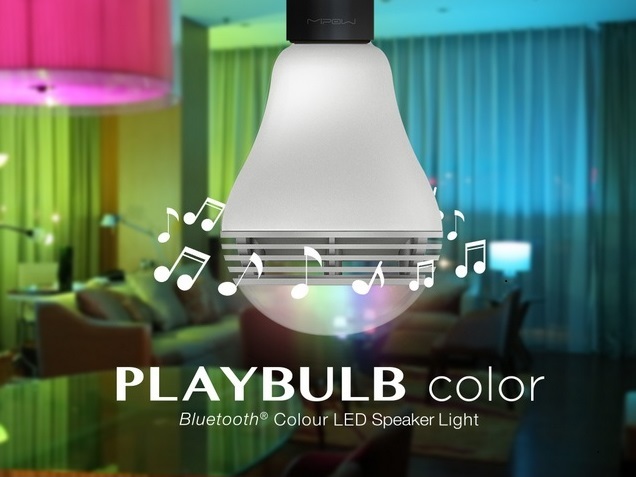 The flashiest bulb catching my eye from the Lighting Fair product line up is the 'PLAYBULB color'. This revolutionary bulb can do it all! Play and control music from your smart phone and even change color and dimness based on a timer or tap. The only downside is having to install 2 apps, and critics say its not that bright. Nonetheless, if I had the cash, I would disperse them throughout my house and businesses. The Electrics Fair has a huge amount and variety of products to temp the gadget seekers. Although many seem to be knock offs of existing designs, if you dig through the clutter, some fantastic devices present themselves. My favorites are those that appeal to the more sporty and gadgety groupies. Tired of being nearly driven over when cycling at night? Or simply want to attract some attention? 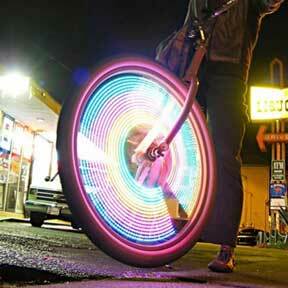 Look no farther the LED bike wheel is here! Never fear the Hong Kong manufacturer assures it is 'High Quality'. Check out this exceptional i-gotU FitLeap POD-30 that has a built in G-sensor which detects motion in all 3 dimensions. This foot or body pod has a sleek and simplistic appearance, but on the inside it records jump height, jump count, jump intensity, airborne time, step count, distance, and route data in either real time or offline mode. The GPS unit enables additional metrics like stride length. The pod's accuracy is said to be great too. Illustrative analysis can be done with the free i-gotU Sports App, and is available on both Android and iOS. This handy device is applicable as not just an activity tracker or pedometer but for somatic game control as well. Not to mention the rest of the i-gotU line up is equally alluring. Looking for a less bulky alternative to the Go-Pro? 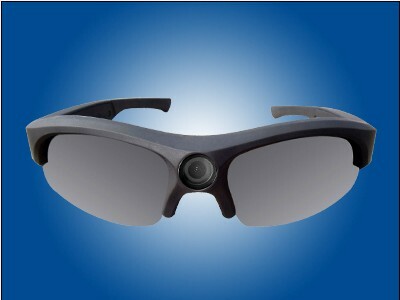 Have a glance at the HD 1080P Eyewear Video Recorder. Be aware however it is only water resistant, and thus can not compete with the waterproofing of the Go-Pro. Critics say it can get a little hot, and is not very durable, however, overall video quality is great and makes for a light weight Go-Pro alternative. For those athletes or enthusiasts concerned about over heating, or weather monitoring, here is a handy little carabiner. 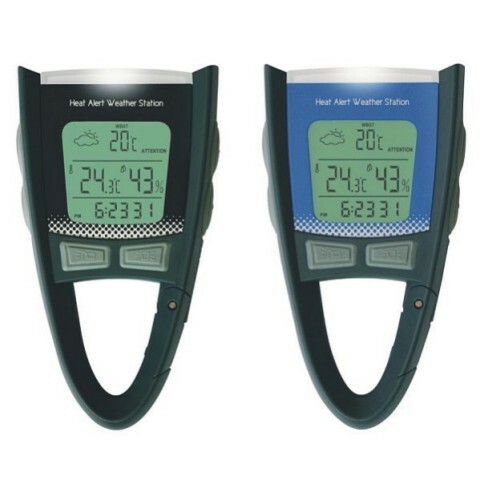 This compact weather instrument can alert you as heat exhaustion approaches. 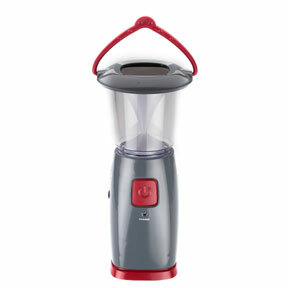 Not to mention, it is equipped with a thermometer and hydrometer to help you anticipate current weather patterns. Check out the Hong Kong distributor for more of its features. 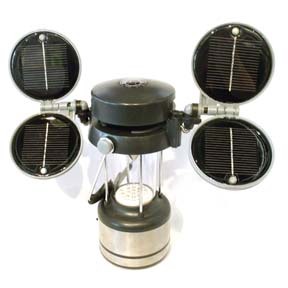 If you are lazy or forgetful like me, then you might appreciate this super bright solar light for car camping. I often forget to charge my electronics and hate having to hand crank my camping light when I would rather get dinner started. However this 17 potent LED lantern would still require me to remember to set up the solar panels while the sun is still out, and thus is probably not too practical if I am mountaineering all day long. Something a lot less powerful, but great for most camping situations is the M416-Solar handheld lantern. Not only does it come with a hand crank for back up, but also has a USB port so it can be used as a power bank. The solar panel is located on top, which makes for easy set up and the possibly of collecting sun while strapping it on a backpack. The only problem with the solar panel is the difficulty in pointing it directly at the sun. Although this product looks promising, a lack of additional specifications has me asking more questions. Ever craved for a hot bowl of chilli after a day in the snow or an ice cold beer/water after exercising in the sun? Well check out the workable thermoelectric cooler and warmer. To bulky? Try the more portable HK-BL-305 19L thermoelectric cooler bag. Like music while on the go? Try this waterproof bike speaker that has Bluetooth capability, an SD card slot, a torch function, a 9 hour battery, and a mount that can be easily attached to a bike handle bar. I'm sure it can be mounted to other things too with a little innovation. Given all this hype the missing specifications would probably reveal a very low sound quality. Injured, old, handicap, lazy, overworked, or tired? Why not use some simple technology to give you that extra kick. 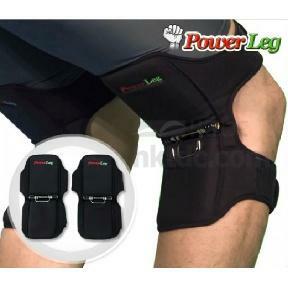 Feast your knees on the PowerLeg from Gaponet Co., Ltd.
And last but not least, scan yourself with this non invasive wireless body composition analyzer. Although I would be hesitant to scan my child with this device, now that I have enough kids around, I would consider using this neat innovation on myself to measure different body composition metrics between climbing sessions. Check out the fair's product pages for thousands more interesting or cheap knock off innovations and services. I have highlighted the most interesting products to me, however, the categories hosted at these tradeshows are for all interests. For an additional summary of the tradeshows see the Hong Kong Spring Electronics, ICT and Lighting Fairs Coming Soon article. Have something else to add to the discussion and critiquing of these products? Comments are welcome and appreciated!